During this darkest time of the year, when the outer world appears to sleep, our inner life awakens. Working with the Holy Nights, or “Time Between the Years” as it is sometimes called, is a potent way to connect more deeply with your awakening True Self. 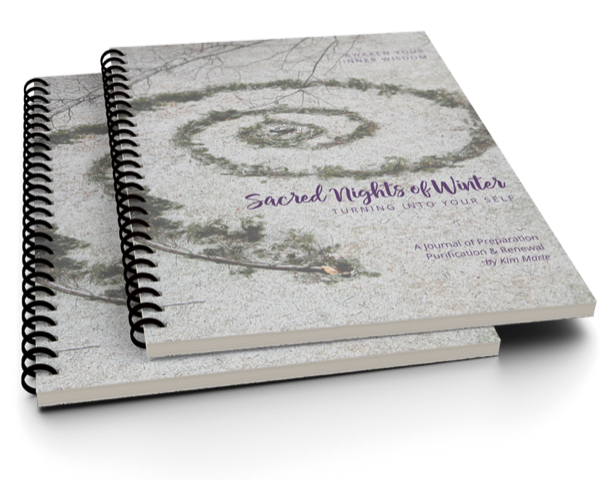 We’re pleased to let you know about a Holy Nights journal called the Sacred Nights of Winter, designed to support you in not only cultivating your inner life, but also in creating a personalized map to guide you through the coming year’s opportunities and challenges. For those interested in gaining clarity and direction, deepening your soul life, and having quality stillness, reflection and restoration during the holiday season, this journal will be a very helpful tool. You’ll receive a discount when you order by November 12th. Please direct any questions about the journal to Kim@KimMarieCoaching.com. We hope you find this resource helpful in bringing joy, peace and reflection to your Holy Nights and the holiday season.